Raymond Gilbert Genaille was born on December 19th, 1974 at the Swan River Hospital. 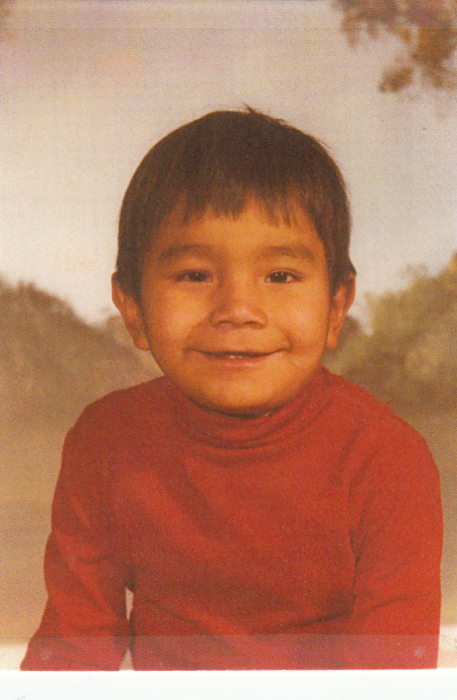 The family left Pelican Rapids, Manitoba on November 16, 1975 when Raymond was only 11 months old and moved to Winnipeg. In April of 1986 they then moved to Lynn Lake then to Thompson in August of 1986. Raymond went to school and attended RD Parker Collegiate. He went to cadets and was involved with MADD. He did not drink, smoke or do drugs and was saddened when his family and friends got into those things. The family moved to Winnipeg in July 1992. 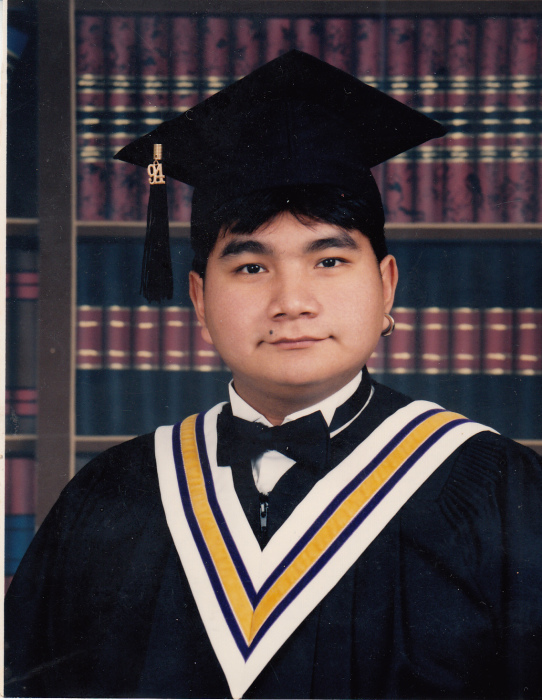 Raymond went on to graduate from Gordon Bell High School with honours in Home Economics. He tried classes in Social Work but figured out that was not his calling. He always wanted to be a chef but could not get funding to go to cooking school. He worked for Bee Cleaners for 7 1/2 years until his sickness Skelerbeler Ataslia, took over his life. He was with his partner, Norman Hurard, for 25 years. He was well taken care of. He died of chest infection due to his illness while being surrounded by family and friends. He leaves behind his mother Lucy; brothers William of Vancouver, Wilfred, Joshua and Geoffrey of Cross Lake; sisters Cathy and Anna; father Raymond; best friend/cousin Michelle Audy; nieces Billyann, Jessica, Candace, Danis, Bryanna, Christine, Harmony, Brooklyn; nephews David, Jeremiah (Marlena), Kyle, Nathan, Lil Ray, Joshua, Jessie, Jayden, Vincent, Kingsley and Lucas; aunts Mary (Albert) and Lena; uncles Alex, Albert (Jackie), Daniel (Shirley), Percy (Shirley), Roy (Robin) and many relatives, too numerous to mention. He was predeceased by his loving sister Ramona on January 2nd, 2006, Sabrina (Bernie); grandparents Zaccheus and Margaret, George and Emma; uncles William John, Steve, Adolpus Audy, Dolphus Genaille, Wilfred and Paul; aunts Maria, Charlotte, Marie, Margaret, Flossie, Bella (Joe); cousins Olive, Terry and Gordon Gott.